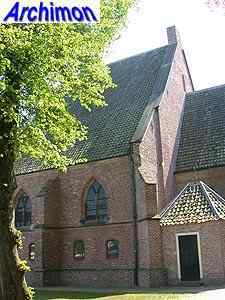 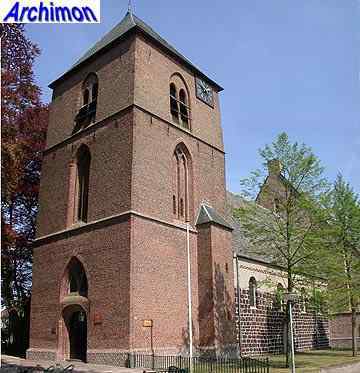 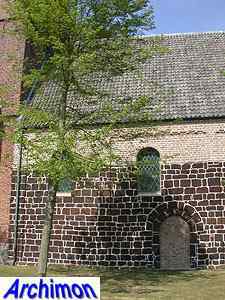 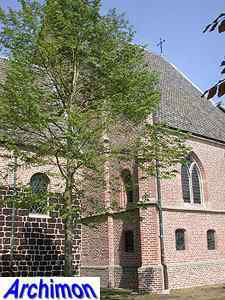 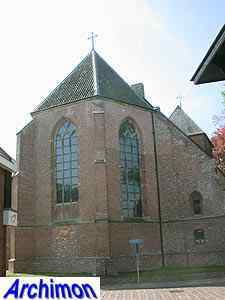 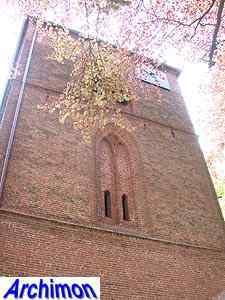 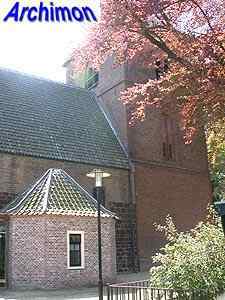 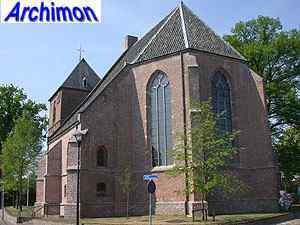 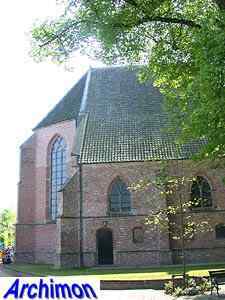 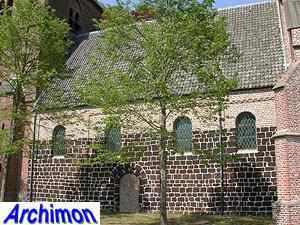 The old church of Hellendoorn was built in the mid-12th century. 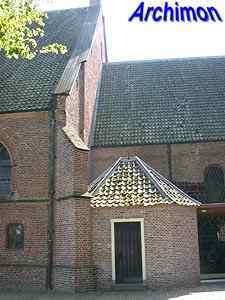 Originally it was a towerless, one-aisled building with a narrower rectangular choir. 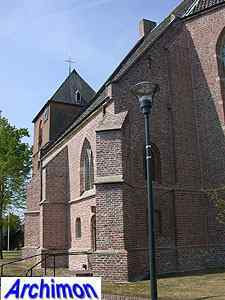 Of this configuration the Romanesque nave remains. 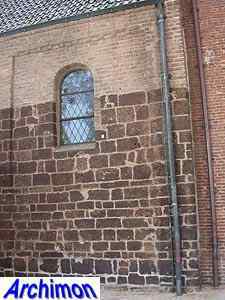 It is built of two different types of natural stone; iron ore for the lower three quarters, tuff for the upper part. 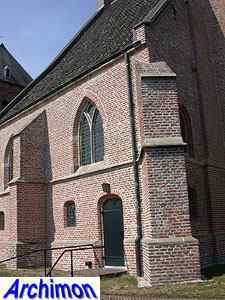 Back then it was covered with a coat of white plaster and had smaller windows. 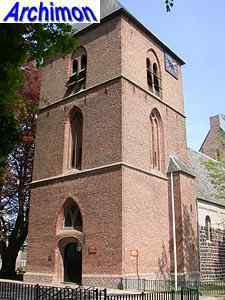 The tower was built shortly after 1442 and is in simple Gothic style. 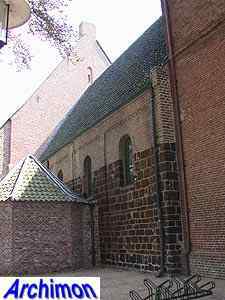 In 1485 the rectangular choir was demolished and replaced by a Gothic choir with chapels at the sides. 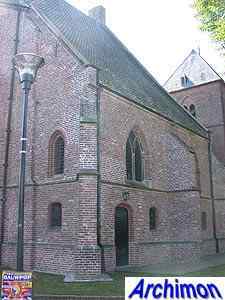 Due to the size of this part of the church, it has been suggested that its western part was in fact meant to be the beginning of a three-aisled nave. 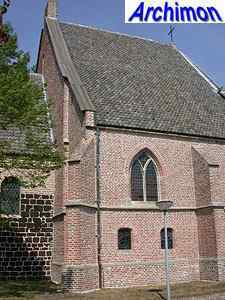 The church has been protestant since ca. 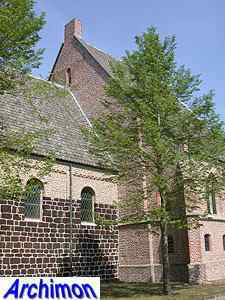 1610.